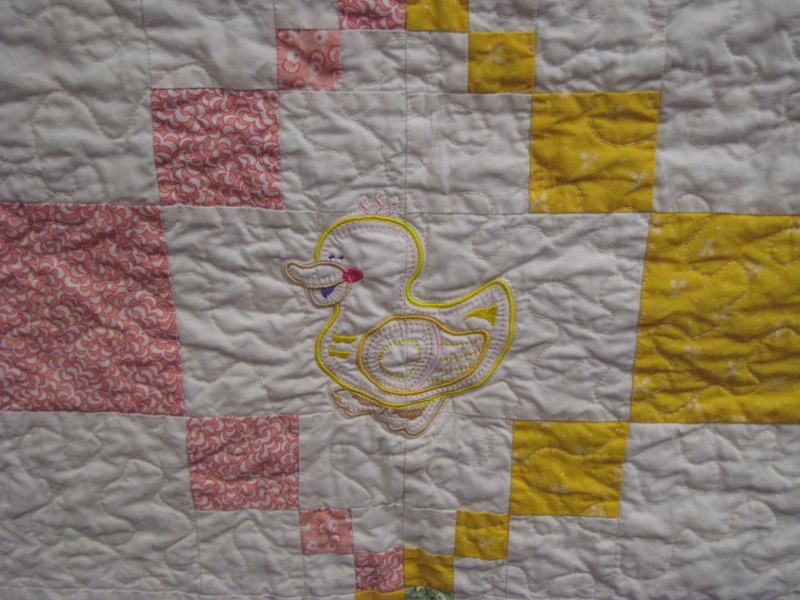 This quilt was made for my dear great niece, Valerie. 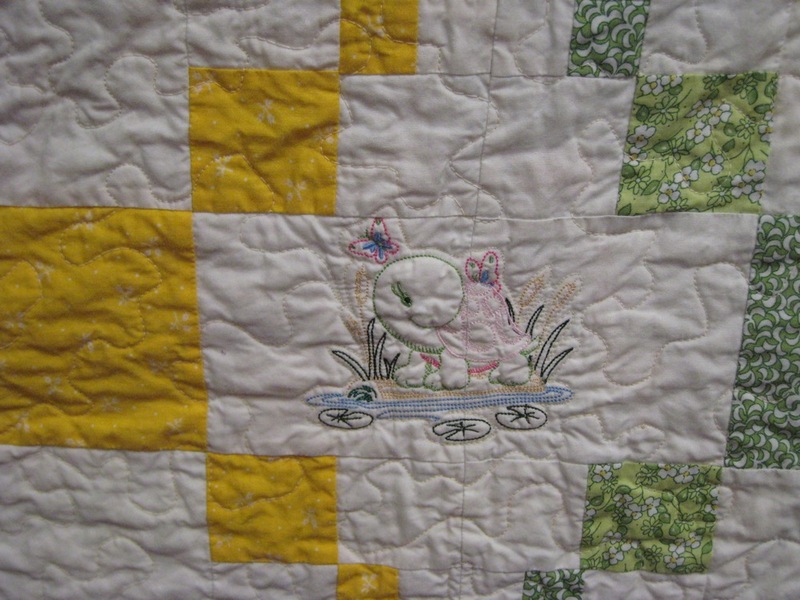 I had two greats due within one week of each other, and managed to finish their quilts, and deliver them, within one month of their birth. [grin] These fairies were in a panel and I just loved the pink fabric. 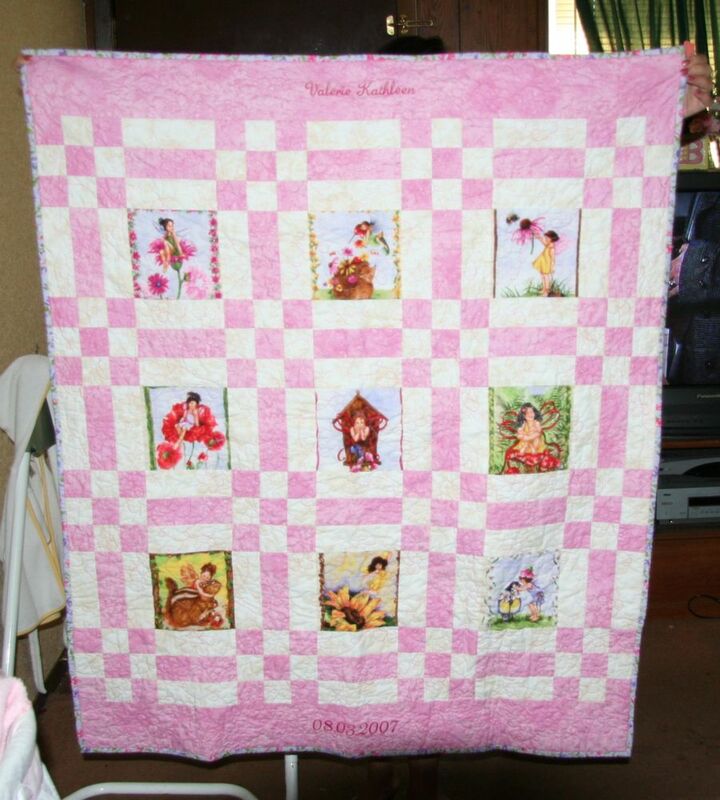 It was actually a quick quilt to put together and I hope she loves it. 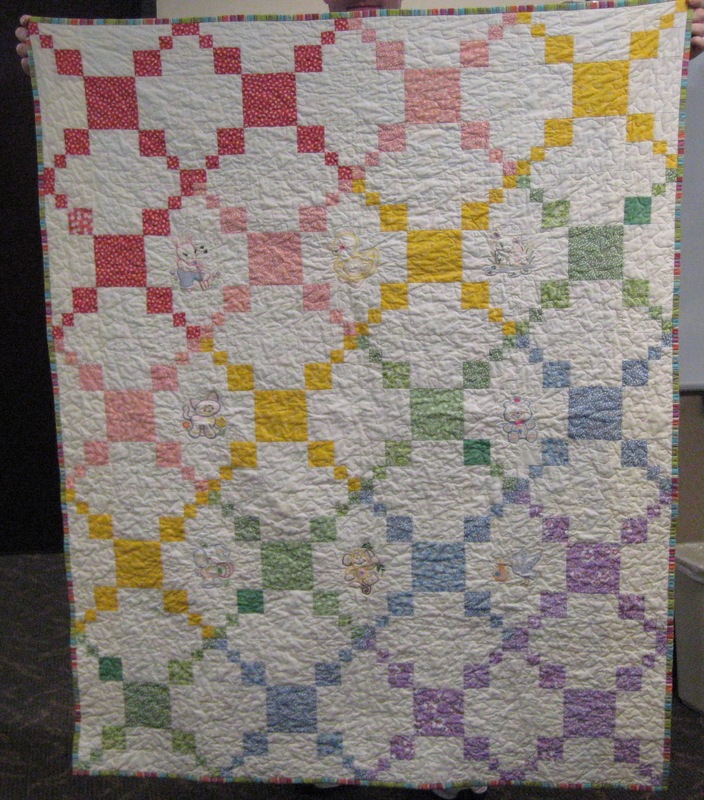 I originally designed this for the Fons & Porter's Baby Quilt Contest in 2007. However, I just could not adjust the pattern to the right dimensions. I finished it for a colleague's new baby boy Riley. He is so adorable! It took me 3 full months after his birth to finish. I hadn't realized how long it would take to embroider the little images on it. I used batting instead of stabilizer to embroider the animal images so that it would be soft and cuddly, and not stiff. The picture makes the orange look pink, but it really is orange. [grin] I quilted it with a large meander and a close outline around each embroidered image. Of course, I made this pattern available to you. Go to Building Blocks Pattern.